before school and during break. 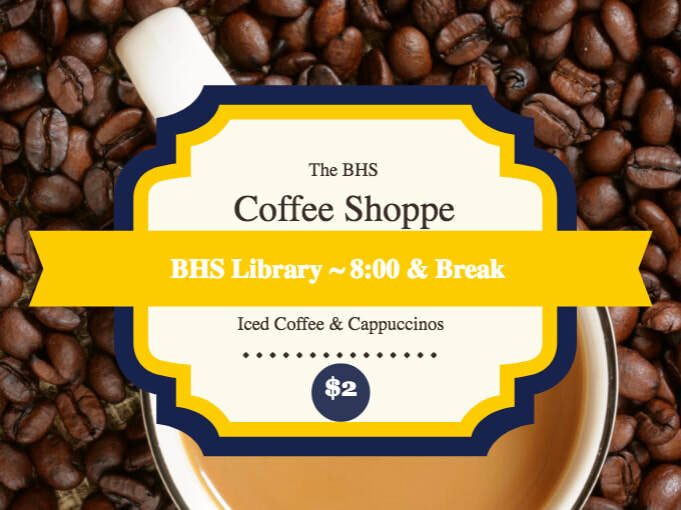 We sell Cappuccinos and Iced Coffee for $2.00. All proceeds go to purchase new library materials!